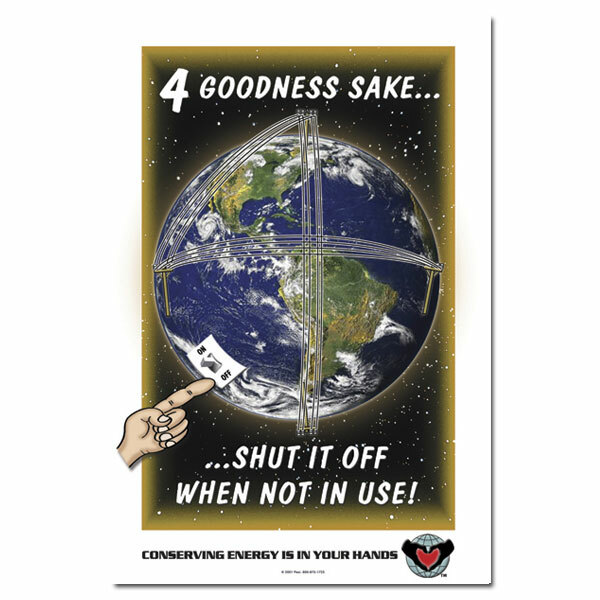 Theme: An image of the earth with a power switch on the bottom left and a hand turning that switch off, remind us to shut off energy users when possible. 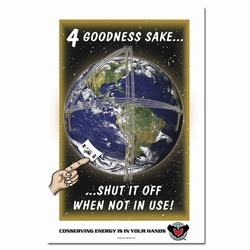 Message: "4 Goodness Sake... 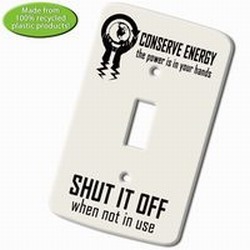 Shut it off when not in Use! 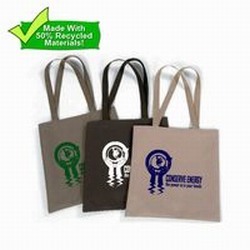 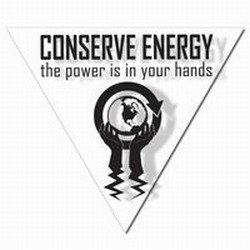 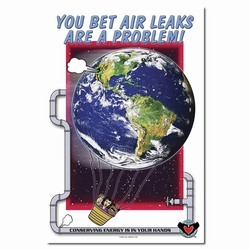 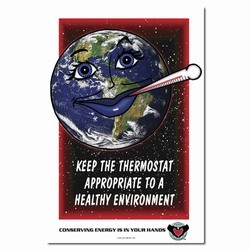 Conserving Energy Is In Your Hands."